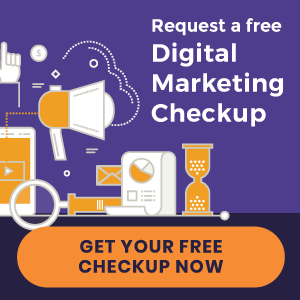 Your chiropractic website is a digital mouthpiece for your practice. It puts you in front of potential patients who are searching the Internet for a chiropractor. If done right, it is an opportunity to persuade website visitors that you are the chiropractor of choice in their area. While there are a number of components that go into creating an effective chiropractic website, below are three key ingredients to keep in mind. If you don’t already have a practice website, patients will see that you’re not staying current with modern technology. The same goes for an outdated design. The shelf-life of a website is only three to five years. The digital world is constantly evolving, and web users are quick to distinguish a dated website from one that is current. One pivotal component of a modern website design is mobile-friendliness. The rising popularity of mobile phones and tablets have made “responsive design” as important as ever. Responsive design accommodates different browsing devices by adjusting the format of your site based on the device being used. After determining the screen resolution and operating system of the device, the website customizes the text, photos, and graphics to that particular device. About 50 percent of all website traffic comes from a mobile device. Year after year, this statistic continues to rise. Many users even use tablets and smartphones as their primary computing device. The content and design on your website gives prospective patients a glimpse into your office environment. They can learn about you, your team, your philosophy and values – all the information they’re looking for in a chiropractor. What is the story behind your practice? Illustrate how you got into chiropractic and why you’re so passionate about it. What is your team like? Emphasize the warm, welcoming environment that your staff offers patients. What is your office environment like? Show off your office with professional photos of your office and team. Your website allows you to showcase your largest assets. It gives prospective patients a glance of your practice, so they know what to expect when they see you in person. Do you have a particular service that you specialize in, one that sets you apart from your competitors? Make this known on your website. Whether it’s sports chiropractic or massage therapy, be sure to emphasize any specialties to target your ideal patient. Promoting your specialties not only shows website visitors what services you offer, it also helps with search engine rankings. It’s important to make sure you’re using the right keywords that identify your services. For instance, if someone types “sports chiropractic [your city]” in Google, they’ll be more apt to stumble upon and engage with your site. Without a strategic design, visitors will quickly click the back button after arriving on your website. Incorporating these three ingredients will not only attract more site visitors, it will increase engagement on your site. This, in turn, will convert more patients for your practice. Once your chiropractic website is designed, you’ll need a marketing plan. To get your website in front of prospective patients, download our free ebook, “10 Ways to Get New Patients From the Internet.” You’ll learn 10 easy-to-implement strategies to attract and convert new patients online. « Online Chiropractic Marketing: How Invested Are You?